Hillmer, Norman. "Brian Mulroney". The Canadian Encyclopedia, 28 May 2018, Historica Canada. https://www.thecanadianencyclopedia.ca/en/article/brian-mulroney. Accessed 18 April 2019. Martin Brian Mulroney, PC, CC, GOQ, lawyer, businessman, politician, prime minister of Canada 1984 to 1993 (born 20 March 1939 in Baie-Comeau, QC). Martin Brian Mulroney, PC, CC, GOQ, lawyer, businessman, politician, prime minister of Canada 1984 to 1993 (born 20 March 1939 in Baie-Comeau, QC). As prime minister and leader of the Progressive Conservative party, Brian Mulroney brought in the landmark Free Trade Agreement with the United States, and oversaw passage of the unpopular Goods and Services Tax. Mulroney’s tenure was also marked by his efforts to persuade Québec government to sign the Constitution; despite extensive consultation and negotiation, both the Meech Lake Accord and Charlottetown Accord were unsuccessful. In foreign affairs, he took a strong stance against apartheid. Mulroney has also been recognized for his environmental record, including the Acid Rain Accord with the United States and passage of the Environmental Protection Act. The son of Irish immigrants, Brian Mulroney's father was an electrician, anxious that his children escape the paper mill that dominated Baie-Comeau. Brian Mulroney attended the private St Thomas High School in Chatham, New Brunswick, and then St Francis Xavier University in Antigonish, Nova Scotia, where he studied political science, joined the campus Conservative club, and was prime minister in the Combined Atlantic Universities Parliament. He worked for John Diefenbaker's successful leadership campaign in 1956. Smooth beyond his years, fluently bilingual and gregarious, Mulroney returned to Québec in 1961, receiving a law degree at Laval. Brian Mulroney joined a major Montréal law firm (now Norton Rose Fulbright) in 1964, soon specializing in labour negotiations for concerns such as Iron Ore Company of Canada and Power Corporation of Canada. His father died in 1965, and Mulroney took on heavy family responsibilities. Later, in 1973, he married Mila Pivnicki. In 1974–75 Mulroney won public attention as an articulate and hard-hitting member of the Cliche Commission on violence and corruption in the construction industry in Québec. By now he was the leading Conservative organizer and fund-raiser in the province. Despite never having run for office, he was a strong candidate for the leadership of the federal party in 1976, finally being eliminated on the third ballot. Mulroney became Vice President of Iron Ore Company in 1976; as president 1977–83 he emphasized management-labour relations and was able, at the end of his term, to close the company's operation in Schefferville, Québec, without serious political repercussions. Mulroney again ran for the Progressive Conservative leadership in 1983, a low-key effort in response to charges that his 1976 campaign had been too slick and showy. He beat Joe Clark on the final ballot: 1584 votes to 1325. As leader of the Opposition and Member of Parliament for Central Nova in 1983–84, he proved a skillful manager, concentrating on healing party wounds and building a solid electoral machine. Moderate and conciliatory by nature, he called for a strengthened private sector and less government intervention in the economy, minority French-language rights, and closer Canadian-American and federal-provincial relations. In the general election of 1984 he ran an almost flawless campaign against Prime Minister John Turner's Liberals and won 211 seats, the largest number in Canadian history. Mulroney, who had always emphasized the importance of Québec to the Conservatives, captured the seat of Manicouagan, his home riding. His pledge to bring Québec to the Constitution "with honour and enthusiasm" was decisive in persuading many Québec nationalists to support the Conservatives. The party took 58 of its seats in the province, the breakthrough that Mulroney had promised would take place under his leadership. He was sworn in as the 18th prime minister on 17 September 1984. The first two years of Brian Mulroney's administration were marked by indecision and scandals in his Cabinet, but by the spring of 1987 he had launched the two important initiatives that would mark his first term: the negotiation of the Meech Lake Accord (see Meech Lake Accord: Document) and the conclusion of a Free Trade Agreement (FTA) with the United States, which was reached that October. The FTA became the central issue in the 1988 federal election, and the Conservatives overcame a resurgent Liberal Party around whom opposition to the FTA coalesced. The FTA went into effect 1 January 1989. However, the Meech Lake Accord slowly unravelled, and its collapse in June 1990 was at least partly attributed to Mulroney's widely quoted "roll of the dice" in scheduling the final first ministers' conference so close to the deadline. His government reached a new low in popularity with the imposition of the new Goods and Services Tax (GST), which went into effect 1 January 1991. Mulroney had to stack the Senate with supporters in order to get the bill through the upper house. Critics blamed the severity of the recession of the early 1990s on the FTA, but the Conservatives continued their policy of open trade and negotiated a North American free-trade agreement which this time included Mexico. Mulroney's popularity according to the polls was lower than that of any other prime minister in history as he attempted to arrange yet another constitutional pact in the fall of 1992. The so-called Charlottetown Accord (see Charlottetown Accord: Document) was pieced together after numerous commissions and negotiations, but it was rejected in a nation-wide referendum. Although Brian Mulroney is best known for his economic and constitutional policies, his record in foreign affairs and the environment is also significant. In contrast to British Prime Minister Margaret Thatcher and American President Ronald Reagan, Mulroney took a strong stand against apartheid, recommending stiff economic and diplomatic sanctions against South Africa. Shortly after Nelson Mandela was finally released from a South African prison in 1990, the anti-apartheid activist publicly thanked Canada for its support (see Nelson Mandela: A Soft Spot for Canada). Mulroney also took strong measures to protect the environment. In 2006, he was voted the “greenest” prime minister in Canadian history in a survey by Corporate Knights: The Magazine for Clean Capitalism. In 1991, Mulroney negotiated the Acid Rain Accord with the United States, an air quality agreement that has significantly reduced acid rain levels and sulfur dioxide (SO2) emissions (see also Air Pollution). While prime minister he also passed the Environmental Protection Act (1988) and created eight new national parks. After much speculation, Brian Mulroney announced his decision to leave politics in February 1993. Despite his skill in putting together a coalition of Québecois and Westerners and in uniting the traditionally fractious Conservative Party, Mulroney's constitutional failures, the economic problems brought on by the persistent recession, the lingering bitterness over the GST and his personal unpopularity had made his political future and that of his party look bleak. He turned over the office of prime minister to Kim Campbell on 25 June 1993. His Conservative coalition disintegrated in the 1993 election. 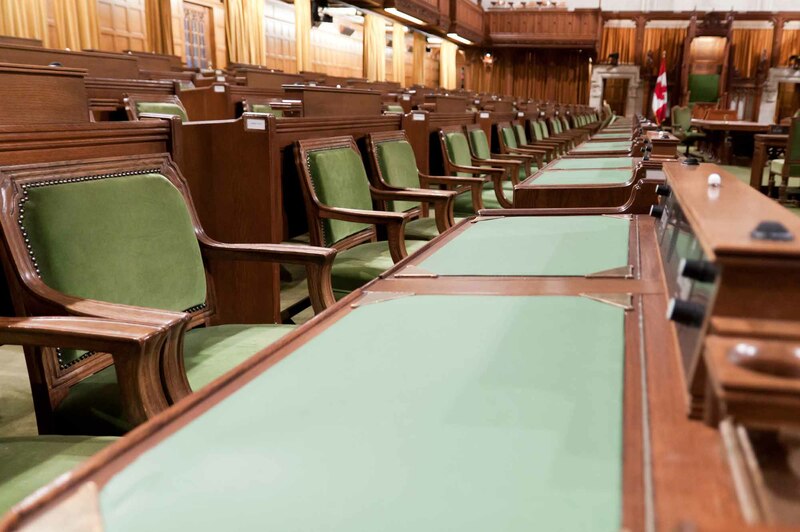 Only two Conservatives were elected in all Canada and the party lost its status as an official party in the House of Commons. Many blamed Mulroney's failures and his personal unpopularity for the most unprecedented disaster in Canadian political history. Brian Mulroney has been senior partner at the law firm Norton Rose Fulbright (formerly Ogilvy Renault) since 1993. 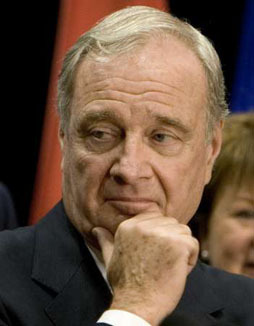 In June 1997, the federal Liberal government apologized to Mulroney for the false accusations that he had committed fraud in the Airbus scandal. In 1998, Mulroney became chairman of Forbes Global Business and Finance, the English-language international edition of Forbes magazine, and he was invested as a Companion of the Order of Canada. A director on several corporate boards, in 2014 Mulroney was named chairman of Quebecor Inc., a Montréal-based media company. Mulroney on Mandela and CanadaA 2013 CBC News interview with former prime minister Brian Mulroney about leading Canada’s support of the anti-apartheid movement in South Africa and his relationship with Nelson Mandela. MULRONEY, The Right Hon. Martin BrianPolitical profile for The Right Hon. Martin Brian Mulroney from the Parliament of Canada website.